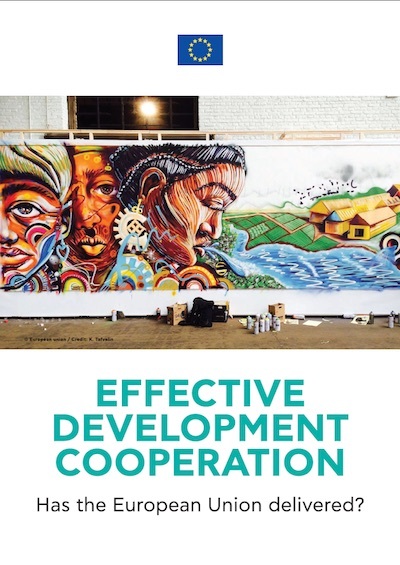 The EU plays an active role in the framework of the Global Partnership for Effective Development Cooperation (GPEDC) and has defined its own priority areas for development effectiveness. They include a series of commitments inter alia on i) transparency; ii) a stronger focus on sustainable results and the use of a common results-based approach; iii) engaging more deeply with the private sector as a partner in development; iv) a common approach to situations of conflicts and fragility; and v) Joint Programming. The main objective of this assignment was the preparation of a study ahead of the Second High-Level Meeting of the Global Partnership for Effective Development Cooperation (GPEDC) in Nairobi, Kenya, 28 November – 1 December 2016. The study, entitled “provides comprehensive evidence on progress made by the European Commission and EU Member States in implementing their commitments at the 2011 High Level Forum in Busan, Korea, with focus on the last two years. The specific objectives included to support to the GPEDC Working Group on Country-level implementation, following the adoption of the Steering Committee of its recommendations; to support to GPEDC Core Group preparing a Plenary Session for the High-Level Meeting on “Development Effectiveness in the 2030 Agenda” and; perform a background research to inform EU positions for the GPEDC HLM2 outcome document. Along with the main study, the team of experts prepared a separate printed brochure presenting highlights of this study and focused on EU priority areas only and a compilation of 7 case studies showing progress in selected areas and countries where the EU has been particularly active.